Kia's reputation for functional, reliable vehicles has grown significantly over the last decade and the mini-MPV styling of the Carens fit nicely into its range. 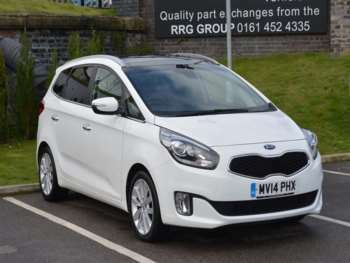 The Kia Carens was launched in the year 2000 and has undergone two major overhauls in its lifespan to cater to changing technologies and tastes. It has had to exist in the shadow of the bigger, more popular Sedona, but that does not mean that it is any less deserving of your attention. Kia kept things simple in the early days with a single 1.8 litre petrol power plant, although a 2.0 litre diesel engine was introduced before the end of the first generation. 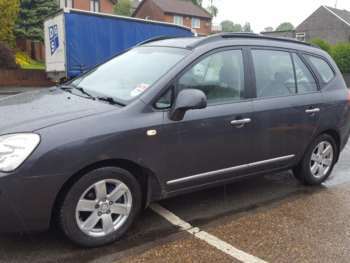 When the second generation used Kia Carens arrived in 2006 it brought with it three different trim options and either petrol or diesel engines, both of which had 2.0 litre capacities. 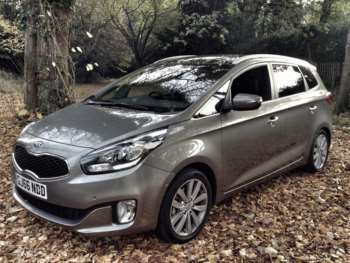 At this point Kia also gave buyers the choice between either the standard five seater Carens, or its more flexible seven seater sibling. 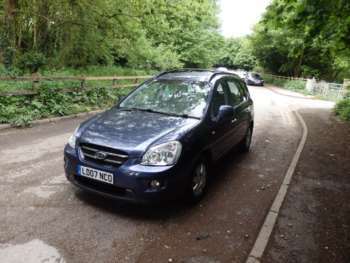 In 2010 the used Kia Carens got its third outing, although it really only acted as a facelift for the 2006 iteration rather than a complete reworking of the established formula. Better, less fuel-hungry 1.6 litre engines arrived for the 2010 edition, with a simplified approach to trim tiers making it easy to work out what you would be getting. 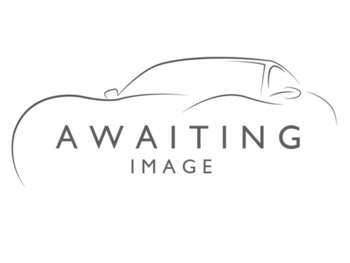 A new fourth gen Kia Carens for sale is already in development, although it has yet to reach the showroom floor. 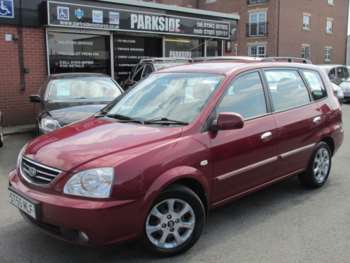 The first generation second hand Kia Carens was available as a five or six seater, with the costlier option putting a third row of seats in the rear which have to be removed manually if you want to free up the luggage space. If you need to pack lots of kids in the back then the six seater iteration is definitely going to be the better option for your money, although adults will feel the squeeze in the rear. Air con, ABS, full electrics, alloys, central locking and a number of other features can be found on the range topping GSX Carens from its original outing, so given its value this is still the one to choose. The 2006 iteration got seven seats as an option, although again the cramped rear row will not be the comfiest of places for a full grown adult to spend more than half an hour. This version is a much prettier vehicle than the first, as well as being physically bigger than most of its rivals. The 2010 revision gets a little more room and a few more features, with the improved engines in both petrol and diesel making it an appealing choice for the frugal minded driver. All models come with air con, full electrics and a CD-playing stereo with an MP3 input, but if you opt for the better equipped models then things like built-in Bluetooth for hands-free calling and even leather seats can be yours. 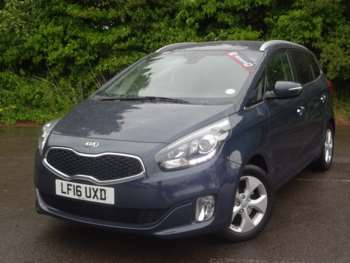 The used Kia Carens for sale has always sold at a low price point from new and this is reflected in the used values, particularly the older models. It is not a particularly big seller though, which means you might have to look hard to actually find one. 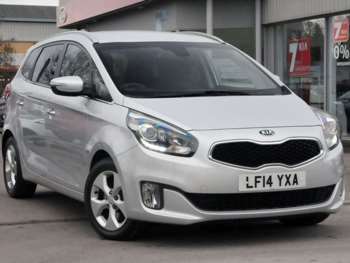 An 11 plate used Kia Carens can cost as little as £11,250, while first and second generation models will cost from under £1000 to around £3000 depending on age and mileage. 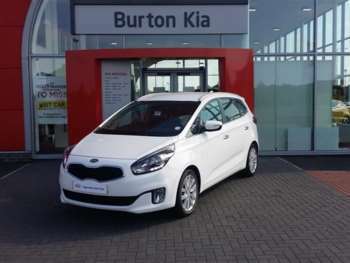 Kia makes reliable cars, but typical wear and tear can take its toll on even the best maintained examples, so give any used Carens a thorough examination. Check the interior for any damage caused by family activities and with more recent models there has been a brake light failure recall, so bring this up if necessary. The clutch assembly on a first gen Kia Carens will cost £250, with the price going up to £275 if you have a more recent iteration. Brake pads range from £45 to £60 and if you need to replace the headlamp then you will be paying between £110 and £130. 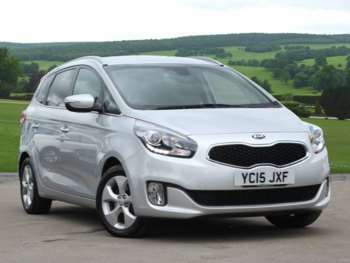 The cheap used Kia Carens is pretty competitive when it comes to performance, offering good long distance comfort and enough manoeuvrability to ensure that it can tackle urban roads without too much bother. It is not going to set your loins alight with its exciting handling or power, but it gets the job done and stands toe to toe with Fords and Vauxhalls in the same class.